a MLC - You will be tested later in the course by written and performance evaluations on this period of instruction. a ACC - You will be tested later in the course by written and performance evaluations on this period of instruction. 9 SMO - You will be tested later on by a verbal and performance examination. A timed knot test will also be administered also. TRANSITION: Are there any questions over the purpose, learning objectives, how the class will be taught, or how you will be evaluated? Now that we know what is expected, it is important for all to know and use the same terminology so that everyone is sure of what is being said to prevent confusion and mistakes. 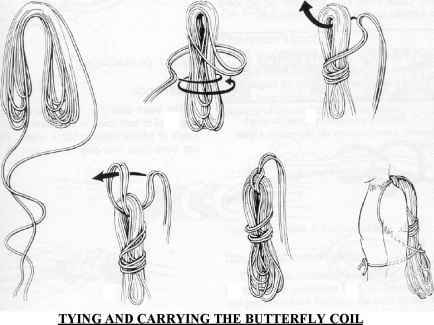 Let us start with some common rope terminology.